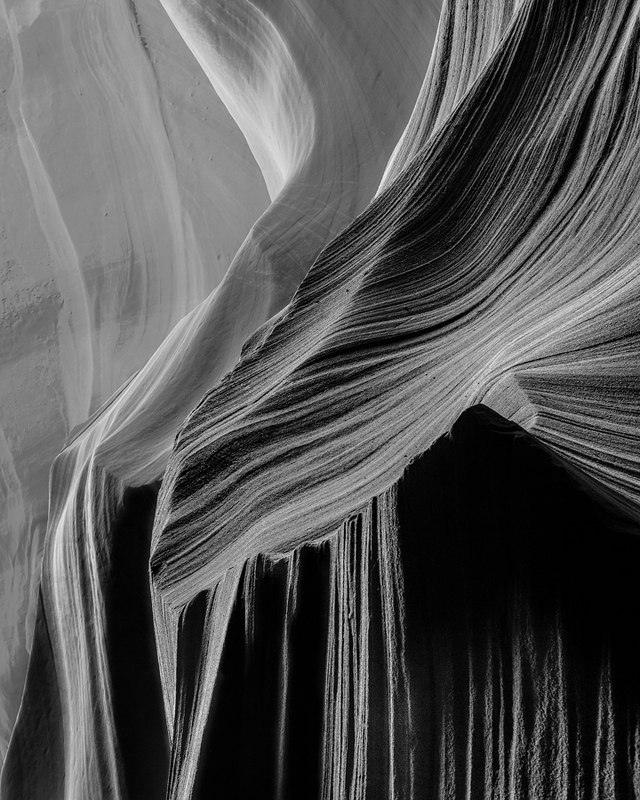 I think I connect so well with Antelope Canyon because there’s a certain flow to the sandstone walls. The walls remind me of the ocean and waterfalls, things I have enjoyed capturing so much during my photography career. The black and white treatment of this image, meanwhile, really highlights the light and shadows in this scene, especially in the bottom 40% of the image, where the walls alternatively protrude and recess. The result is that you get a lot more depth. When I look at this, I can’t help but see imaginary water flowing from the top of the image toward the bottom of the frame, with the light showcasing its fall.